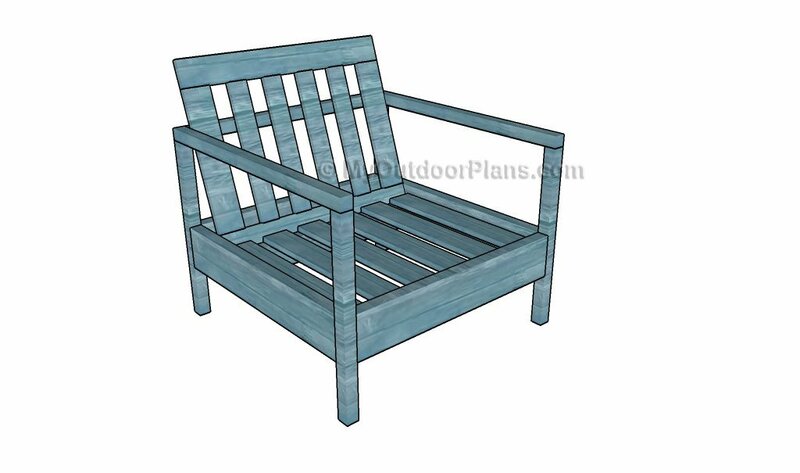 This step-by-step woodworking project is about outdoor sofa plans. Building a rustic sofa is a straight forward job, as it can be done in just a day even by an amateur handyman. Buy quality lumber, weather-resistant, if you plan to place the couch in your backyard (pine, cedar or redwood). Sand the edges and the wooden surface, along the wood grain, to obtain a neat appearance. 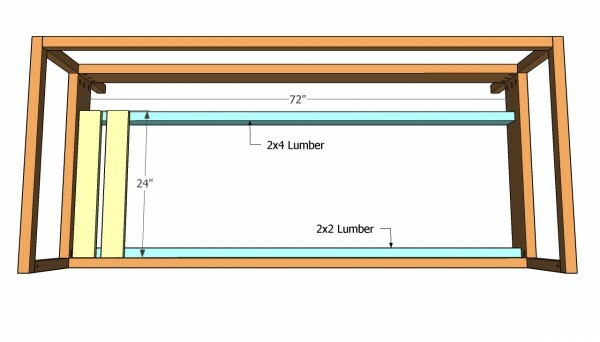 Adjust the size of the sofa to your needs, as the woodworking techniques are the same irrespective of your choice. Align the wooden components at both hand before driving in the screws. Don’t forget to pre-drill holes in the components, as to prevent the wood from splitting. Moreover, don’t forget to countersink the head of the screws, before inserting the wooden screws. Last but not least, apply a good wood filler in the holes, let it dry out properly and sand the surface thoroughly with 120-grit sandpaper, before applying the final coats of stain. Building an outdoor couch is one of those projects that can be done in just a few days, but the impact of the ends result will change dramatically the look of your deck or backyard patio. There are many designs you could choose from, but in this project, we show you building plans for a simple sofa, made of wooden boards. Top Tip: Make sure you take accurate measurements before performing the cuts, otherwise the components won’t fit together. Work with attention and with good judgement, if you want to get the job done like a pro, from the very first attempt. First of all, you have to build the sides of the outdoor sofa. Therefore, we recommend you to build the legs and the armrest from 2×2 lumber, while the aprons have to be cut from 2×6 beams. Use a jig to drill pocket holes in the components, as in the free plans. Drive in 1 1/4” screws, after joining the components together with glue. Make sure the corners are right angled, using a carpentry square. The next step of the project is to install the front and the back 2×6 aprons. You could adjust the width of the sofa according to your needs, therefore cut the aprons at the underlying size. Smooth the cut edges with a sand-block. Top Tip: Drill pilot holes in the components, before inserting the screws, to prevent the wood from splitting. Use a spirit level to align the components. Apply wood glue to the joint, to increase the bond. Afterwards, you have to install the cleats and the seat slats, as you should notice in the image. Secure the front cleat, made if 2×2 lumber, to the apron with 2 1/2” screws and a good wood glue. Lock the back cleat, made of 2×4 lumber, into place using 1 1/4”, after drilling the pocket holes. 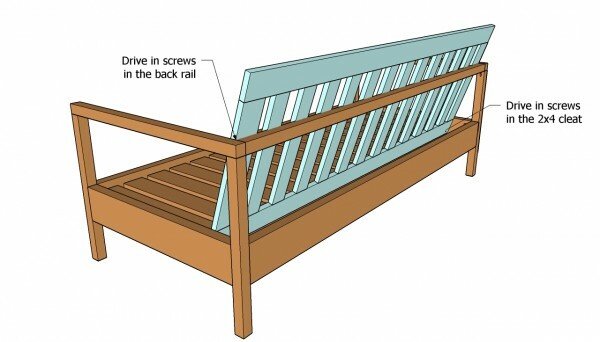 Top Tip: Attach the 1×4 slats into place using 1 1/4” wood screws. 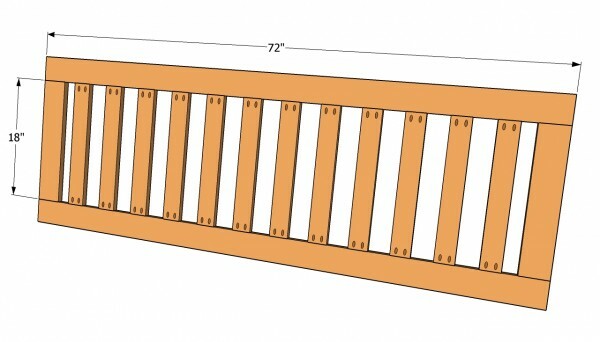 Leave about 1-2” between the slats, to properly support the weight. After building the main frame of the outdoor sofa, you should assemble the back support. 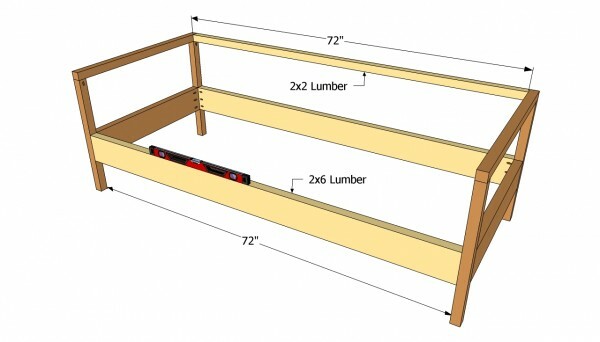 Therefore, cut the slats from 1×3 lumber, while the bottom and the top components should be made of 1×4 lumber. 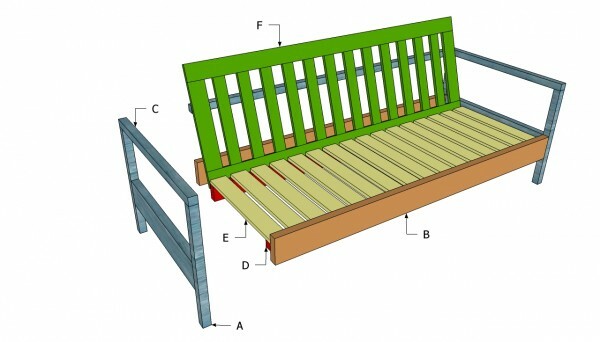 Align the components with good judgement, making sure the slats are equally spaced. Top Tip: Drill pocket holes in the slats, in order to secure them into place. Check the corners for squareness, before driving in the screws. On of the most challenging steps of this project is to install the back support into place, as you need to be precise and level the components properly. If you don’t pay enough attention to details, the outdoor sofa won’t have the desired appearance. Top Tip: Drill 2 1/2” screws trough the bottom of the back support in the 2×4 cleat, every 10”. 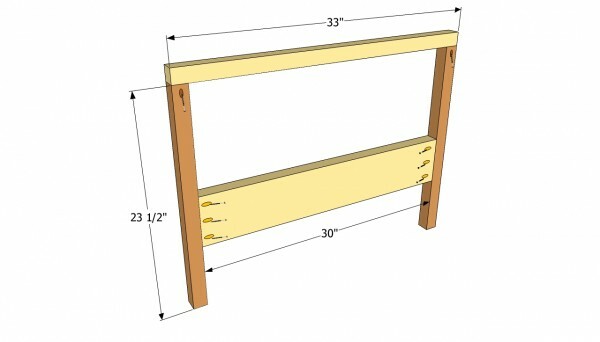 In addition, insert 2” screws trough the back rail in the 1×3 slats, after drilling pilot holes. Fill the head of the screws with a good wood putty and let it dry out properly. Next, sand the wooden surface with 120-grit sandpaper, making sure there is a smooth transition between the patches and the rest of the wood. Top Tip: Apply several coats of wood stain to protect the wood from rot. Buy cushions and lay them on the sofa, to get the job done and to enhance the comfort of the wooden sofa. 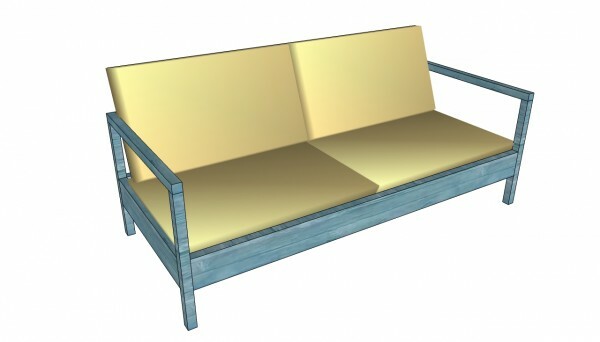 This woodworking project is about outdoor sofa plans. If you want to see more outdoor plans, check out the rest of our step by step projects and follow the instructions to obtain a professional result.